“The Black Angel’s Death Song” was released by The Velvet Underground in 1967. The cryptic song teeters on the edge of hysteria with the piercing screeches of John Cale‘s electric viola throughout the track. Austin psych rock band The Black Angels are releasing their first full-length album in four years, aptly titled Death Song. The nod to their influencers, The Velvet Underground, is undoubtedly obvious in the album’s title, but also finds itself mimicking that same sense of hysteria speckled throughout the LP. Death Song is The Black Angel’s attempt to bridge the gap between some of the sugary successes on their last EP and their missteps on Indigo Meadow. Death Song finds itself in a constant psychological state of questioning. The themes of the album twist through political turmoil, sexual deviance and love that hurts—and hurts good. Death Song never finds an answer to all of its questions, but instead finds itself drenched in a similar dilemma to the one The Black Angels were in back in 2006 when they released Passover—a dilemma that catapulted them into psychedelic success. 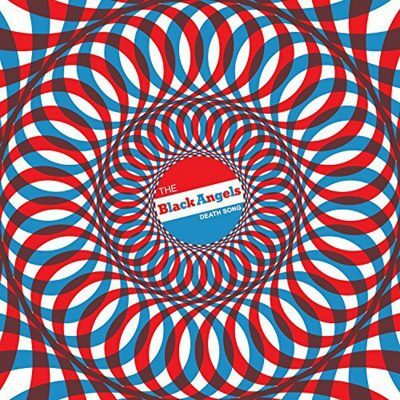 The Black Angels skipped any semblance of pop that we’ve heard in recent releases in favor of heroine drenched rock n’ roll.